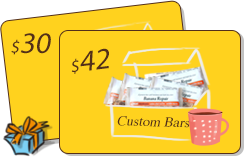 A gift certificate recipient enjoys the experience of creating a custom wholefood bar online AND a great tasting bar once they are delivered fresh. ... is what you will hear from the person to whom you send a box of 12 great tasting Element Bars. 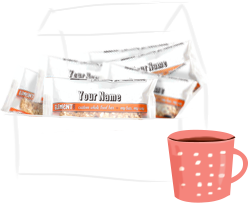 Customize the label with your business name and logo.